This was actually a pretty solid squad for half the season until four of them were traded away at the deadline. It was the offense and rotation that was lacking in the first half and unable to bring them where they wanted to go. Now which bullpen looks better to you? Well in 2019 we will have a much improved Taylor Rogers, a fully healthy Trevor May, a solid reliever/closed pickup in Blake Parker, two converted starters who have great stuff in short stints, as well as potential bounce back candidates in Hildy/Reed. Let’s take a look at each pitcher one by one. Trevor Hildenberger: For Hildy, 2018 was a tale of two halves. For the first half of the season he was relied on in the 6th or 7th inning and he was about as good as you could hope for. He had a 3.33 ERA, 1.130 WHIP, and an AVG against of .222 making him a reliable option. Well after the primary 8th/9th inning guys were traded, Hildy was put into those situations that he wasn’t used to. He was banged around for an ERA of 9.00 and a WHIP of 1.815. I think the key for Trevor is getting him back into the middle innings where he has seen success. Adalberto Mejia: I believe Mejia can be an effective reliever for a few reasons. The first is that in high leverage situations, he has a career .233 AVG against and career .614 OPS against. When he is facing a batter for the first time in a game he allowed a .247 AVG against and a .717 OPS against. Finally, in his first 25 pitches he saw ,UCD more success then when he moved on to 26+ with a .227 AVG against and .633 OPS against. To me, those are three key splits that point to potential success in the bullpen. I would like to see Mejia pitch in the 6th inning primarily. Blake Parker: In my opinion, Parker was an underrated signing by the Twins. He is a solid relief option who will pitch late in games just like he has for the Angels in recent years. With an ERA at 3.26 last year and 2.54 in 2017, along with a WHIP under 1.00 two years ago, he definitely has the ability to finish out games for the Twins. He could potentially be the closer after having a combined 22 saves over the last two years. 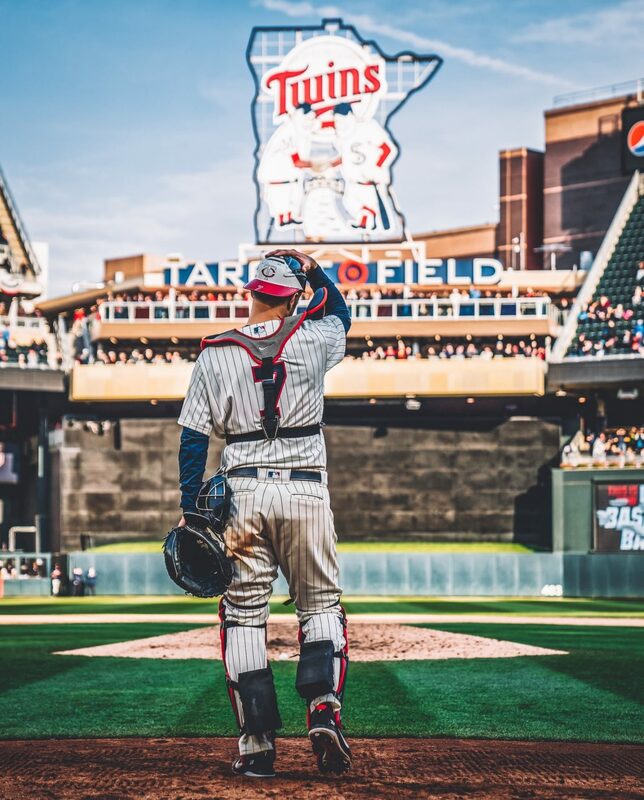 Taylor Rogers: The bets reliever on the Twins, as well as one of the best in all of MLB to finish out 2018. In the second half, Rogers had a 0.94 ERA, 0.663 WHIP and an outstanding .120 AVG against. This also came with increased high leverage situations with Pressly and Rodney gone. It seems like Rogers officially hit this final step to become elite and if he carries it over he will be an absolutely wonderful left handed weapon out of the pen. Addison Reed: Out of all the players listed, the one being paid the most probably has the most downside to him. After a good first few months, teams began to tee off on Reed as he lost command and his fastball velocity fell. From June to the end, Reed has an ERA of 6.26 with only 15 strikeouts and 7 homers allowed. This start to spring training has been nothing new as he is still not hitting his usual velocity and home runs are being hit off of him in every outing. The upside on Reed is that he was elite from 2014-2017 and there is always a chance he can get back to that. If he does, the Twins bullpen will easily look a lot better. Matt Magill: The 29 year old will begin his second season with the Twins after being one of the more relatable options for them down the stretch. He definitely wasn’t a late inning shutdown guy, but he was able to hold a respectable 3.81 ERA. I he is able to maintain his consistency he will be a solid 8th guy who can come get some outs wherever you need him. Trevor May: This one is my favorite. In 2018 May finally returned from his Tommy John surgery and he looked great. He was missing bats while hitting 95-96 on his fastball and it was just so fun to watch. Now after a full healthy offseason for him to improve, the potential for May to be a great 8th or 9th inning guy paired with Taylor Rogers looks really good. Fernando Romero: Finally the other converted starter along with Mejia will be Romero. His stuff is good enough to pitch at the majors and he has shown flashes last season. By converting Romero to the bullpen he will be able to increase his fastball velocity to around 97-98 MPH to go with his slider. There has been talk about Romero pitching in late innings or potentially even being the closer, but Baldelli said recently that he sees him more as a multiple innings guy to start the year. Though if he sees success we may just see Fernando Romero late in games. The final reason I like this bullpen is the coaching. They are all new but I believe that could be a good thing. Wes Johnson has already shown signs of helping with guys like Martin Perez who has been great this spring. He is also known for being able to help a pitcher reach even more velocity which can always be a weapon.